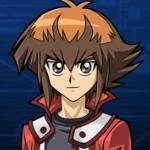 Duel Links Yugioh GX, Jaden, and E Heros. 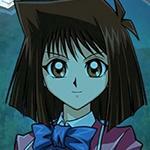 Now the world of Yu-Gi-Oh! GX has been released! 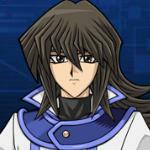 To unlock and dive into the new world, you have to complete Jaden Yuki unlock missions first. It's not that hard to complete those missions. 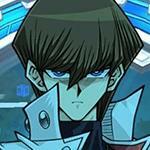 Jaden Once you reach Stage 8 or above in Yu-Gi-Oh! (DM) World, Jaden Unlock Missions appear. Aster Aster Unlock Missions appear once you summon DARK-attribute Monster(s) 200 time(s) in total. 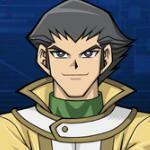 Chazz Once you reach Stage 6 in Yu-Gi-Oh! (GX) World, Chazz Unlock Missions appear. 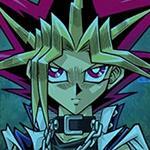 Alexis Once you reach Stage 11 in Yu-Gi-Oh! (GX) World, Alexis Unlock Missions appear. Bastion Once you achieve "Win a victory 50 time(s) while your deck is 3 or less", Bastion Unlock Missions appear. 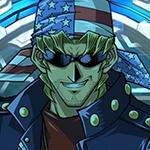 The second Generation of the YuGiOh series, bringing with it new Characters, new Signature Cards and new Events. On August 25, Konami made an in game announcement promising "A new World", "New Characters" and "New Missions". Then at Tokyo Game Show 2017 , Yu-Gi-Oh! GX world was confirmed finally. Note: All credit regarding this information leak goes to XOF. 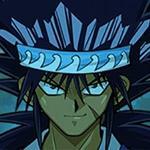 Among these, are cards owned by the protagonist Jaden Yuki and other prominent characters such as Aster Phoenix, Chazz Princeton, Alexis Rhodes and Bastion Misawa, meaning that they might be the first unlockable characters once GX is added. 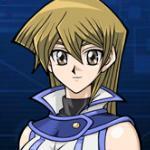 The datamine also shows the rarity of some cards and how duelists could get them. 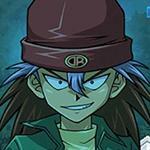 Jaden The Protagonist of the GX series. 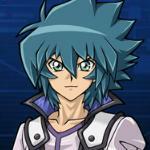 Jaden uses an elemental hero deck throughout the series, but later on added neospacians to his deck. 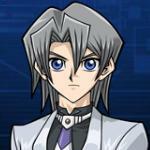 Zane Zane is a powerful duelist from GX series, his deck is themed around Cyber Dragon and it's other forms and fusions, his deck then centered around both Cyber Dragon and Cyberdark later on in the series. 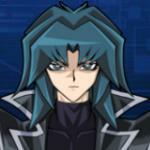 Aster One of Jaden's rivals, Aster uses a Destiny Hero deck which he believes to be superior to Jaden's Elemental Heroes. 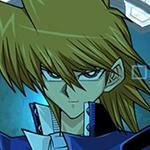 Jesse Jesse is uses a Gembeast Deck with Raibow Dragon and Gem Beast Ruby Carbuncle as his Ace Cards. 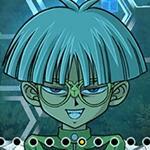 Chazz Originally using a VWXYZ deck, Chazz has change his theme to using the Armed Dragon and Ojama monsters. 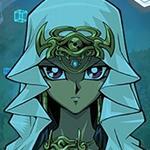 Alexis Uses a Cyber Angel Deck which focuses on ritual summoning her strongest monsters. 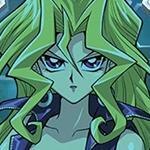 For a while she also used an ice themed deck that prevents her opponent from attacking. Vellian Uses an Ancient Gear themed deck, it contains many high leveled monsters that have anti-trap effects. Atticus Uses a regular beast-warrior beatdown deck as Atticus, but as nightshroud he uses a Red-eyes deck with his Signature card being Red-Eyes Darkness Dragon. 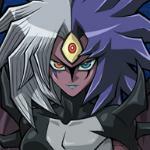 Yubel Uses a DARK attribute deck centered around summoning herself and the other stronger forms of Yubel,then forces you to do battle with her indestructible monsters. Bastion Bastion uses 2 types of decks, one is Magnet Warriors. The other one which he is most famously known for is his Water Dragon deck, uniquely themed around chemical bonds. Please change the music for this world, please, I beg of you. It makes me want to commit war crimes. Hell even the GX 4kids theme would do and I hate that too. Not sure why you posted that in response to an ancient post started by an obviously fake pack. You might want to learn English. That was not a complete sentence. Yeah, I noticed it. It's been a while and they still didn't add stages. 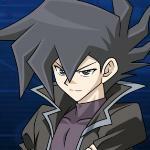 Why isn't Chazz getting Light and Darkness dragon? That's because everything you said is from the manga, not the anime. Light and Darkness Dragon has never appeared in the anime, used by Chazz or anyone else. Doesn't mean they CAN'T be given by characters in Duel Links, of course. It takes inspiration from every source it can, and we've had several manga cards make it into LD's cardpools in one way or another. 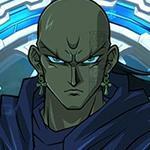 Yugi's Union Attack, Yami Yugi's Van'Dalgyon, Syrus's Carrieroid and Akiza's Rosaria are examples of this. 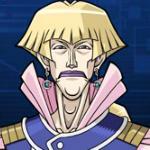 It's even more common with the "Super duelist" events. Bastion's is a good example. This is the worst yugioh series. Weak plot, too much filler, lack of character development and their character designs as worse as One Piece however, OP has great plot. IMO the biggest issue is the cards. So many GX anime cards are either very underpowered compared to the meta cards at that time, or are actually good but have unneeded restriction slapped on them when they are printed in real life, or printed without enough support, whether from anime or game original. I'd say Arc-V had better character development for the main cast (which is impressive given how large its main cast is), but yeah, GX's was pretty solid as well. Where's Viper? Give me my Vennominaga plz. 5ds would beg to differ. Also arc V introduced good cards, although the anime itself was moronic and lazy. yuya just "action card" everything to get out of situations. That's just lazy script writing for writers who can't be bothered coming up with original ideas for their duels. But arc v did introduce alot of good cards/archtypes.